Posted on March 24, 2017 at 5:58 pm. Today, cities are implementing smart city technology for infrastructure—and solar power is part of the revolution. What makes a city smart? Smart cities collect data automatically from physical assets—like a parking meter, garbage bin, or street light—via a secure wireless connection. Information is transferred to a central database using GPS and satellite technology, allowing city staff to remotely monitor, process, and analyze the data collected. The result? The city can improve efficiencies of each physical asset for the local community and the staff that manage them. Is smart city technology a trend you want to be part of, but you don’t know where to begin? Start with your street lights. Solar street lighting can help future-proof your city because it’s flexible, it works anywhere, and it includes connectivity to keep you informed. 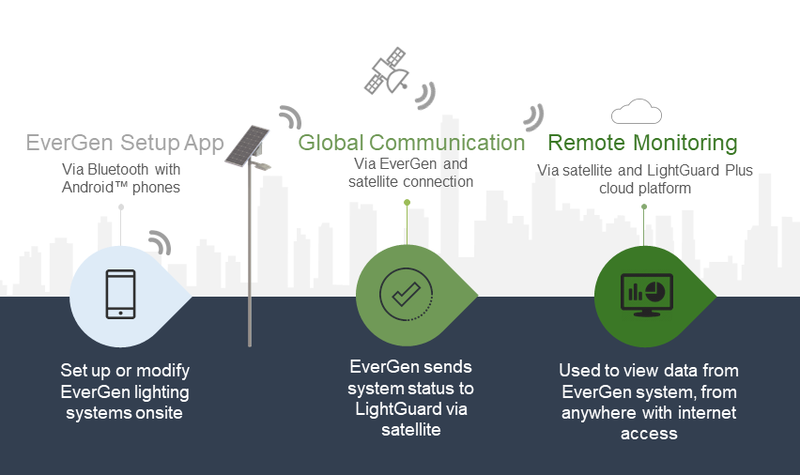 Smart setup: The EverGen setup app helps you turn each light on, assisting with testing and commissioning via Bluetooth® wireless technology and your smartphone. Smart energy control: The system optimizes power and automatically adjusts to ensure continuous operation, no matter what the weather. 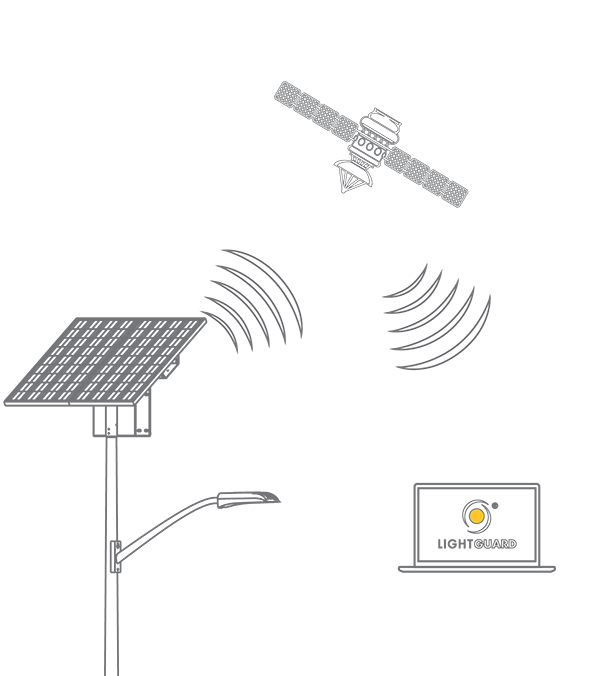 Smart monitoring: The system uses GPS technology and satellite connectivity to pinpoint system faults and performance levels, notifying you of the location via email for a reliable, smarter system that lasts. In this revolution, you’ll save money—and time—by choosing solar-powered LED lighting. Our smart technology keeps it simple for you while also helping you meet the needs of your community. Learn more about remote monitoring by attending one of our online webinars.